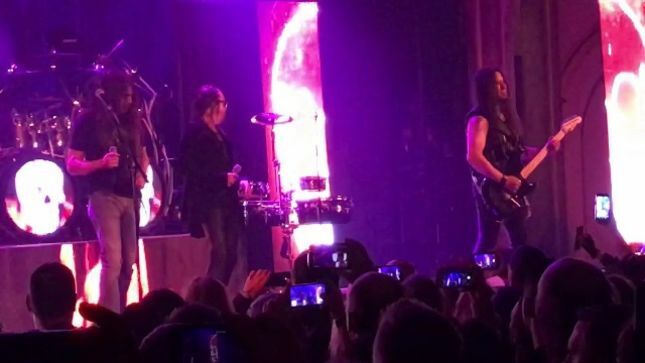 QUEENSRŸCHE Performs "Take Hold Of The Flame" With FATES WARNING Frontman RAY ALDER At Final Show Of US Tour; Fan-Filmed Video PostedQueensrÿche wrapped up their US tour with Fates Warning as support on April 3rd in Seattle at the Neptune Theater. The last song of the night featured Fates Warning frontman Ray Alder guesting on lead vocals with Todd La Torre. Check out the fan-filmed video below.